Move over Toretto, there's a new speedster in town! Officials with the Barrie Police Department in Ontario, Canada, charged a 46-year-old local man on Tuesday with dangerous driving after he was filmed erratically steering his Model S Tesla, which was also carrying a passenger, across railway tracks before crashing into a school parking lot. Security footage captured by a local establishment this week shows the Tesla driver speeding over the railroad tracks, causing the vehicle to suddenly go airborne before crashing into the opposing lanes some 100 feet away. According to police, the incident took place just after 8:30 p.m. local time on Tuesday. 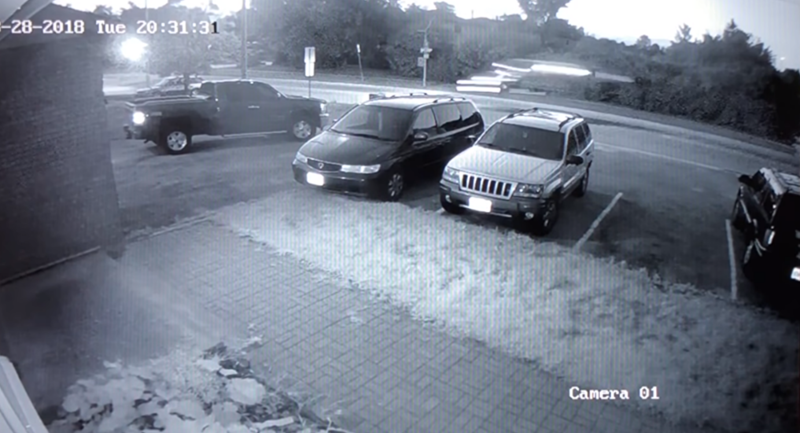 ​A second vantage point offered by the security footage shows the vehicle slamming onto the ground after its brief flight, before two people are spotted running toward the crash site. The impact of the crash ultimately forced the now-demolished Tesla to skid across the remainder of the roadway and into a tree located on the parking lot of Assikinack Public School, a Wednesday release from the authorities stated. Both the driver and passenger were taken to a local hospital to receive treatment for minor injuries. No other person were reported as being injured. Police released the footage on Wednesday to highlight the realities of reckless driving. "It may look ‘cool' and like something from out of the movies, but in reality the action of this driver put many lives at risk, including his own," a tweet from the department reads. So long Tesla, goodbye dreams of being featured in the next installment of the "Fast and Furious" franchise. The driver is due back in court on October 1.